I’m not a sports fan at all. 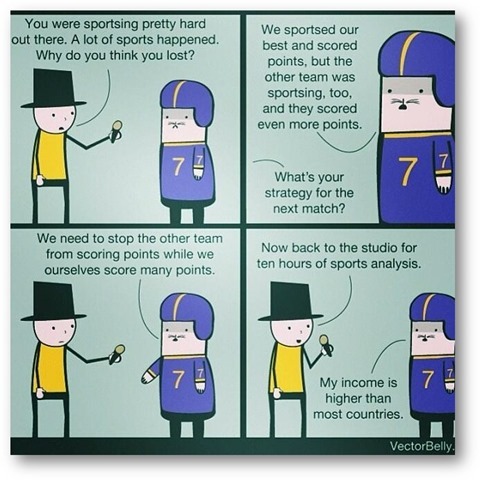 As a consequence, TV sports interviews and commentary always have annoyed me as being boring, repetitive, and pointless. I’ve even talked to friends who ARE sports fans, but prefer to turn the sound off on the TV when watching a game. A friend of mine sent me this cartoon that so perfectly represents this in a way I could never have done – LMAO!